This word is often spoken amongst Christians---but what exactly do we mean by "revival"? Stop for a moment, think about it. What is your definition of "revival"? What does this term mean to you? The answer that most of us would say, might be something like this: --"God in charge completely--all the people serving His will--on an ongoing basis--every day." The concept that most of us have of "revival" would be a move of God, through all Christians--through all the people in an area--which would reach out to the world. We would see many people saved--many people would be healed and delivered from their difficulties--and many would repent and accept Jesus Christ as Lord. Our common idea of "revival" is God, moving through ALL Christians--serving God's will in the earth--which is to bring the lost into His kingdom. Why do we ALL have this common vision of revival? Where did we all get this vision of revival-? Most Christians have read the new testament Bible. In it, we read about the way Jesus did things--how He took fishermen--and tax collectors--and common folks--and sent them out to carry on His ministry of love--salvation--healing --deliverance--and feeding the poor. We have all read about the church in the Bible, and how they carried on Christ's ministry--in a very direct and powerful way--in groups--on a daily basis--on a common level with one another. We read about how the church was "added to daily" (Acts 2: 44-47) and we desire to see these same things happen in our lives and in our times. Jesus began an apostolic revival. His ministry included a great "release" for others to serve God. This is our common vision of revival. It is our collective vision of the church. We all get it from the Bible. Have you ever noticed that we do things differently than they did-? Have you ever sat in church on a Sunday morning, and asked yourself why we are not "in revival"? Why we don't do things the way we read about them in the Bible? Why our church, today, doesn't look like the church in the Bible? The answer can be found by doing something we don't usually do as Christians--and that is to study the history of the Christian church. Should we study the history of the Christian church--honestly and openly? We read the Bible and see Christ's ministry and the church in the Bible. We discern their common mission and operational plan--(working in groups to get people saved!) --and if we look honestly at ourselves--we will notice that we do things differently. We seem to have a different "set of rules" than they did. We seem to have different plans to "live up to".---Why-? Is it possible, that somewhere in history we can find the answer? Is it possible that somewhere between the times of the Bible and today (almost 2,000 years-!) people have changed the rules---so that the church we have today operates differently---that the church of our day and age has some different definitions and goals and rules in place? Well, who made the changes? "And he said unto them, The kings of the Gentiles exercise lordship over them; and they that exercise authority upon them are called benefactors. But ye shall not be so: but he that is greatest among you, let him be as the younger; and he that is chief, as he that doth serve." (Luke 22:25-26, KJV). Jesus and the early church were persecuted by Rome. But something huge happened around 300 A.D. The Roman emperor Constantine, claiming to have a heavenly vision, ended the Roman persecution and began to make Christianity a Roman religion. The Romans had done this in the past with other people whom they had conquered. Perhaps you remember, in school, studying the Greek and Roman "gods"--and how the Romans basically took the Greek mythology and gods for themselves, simply changing the names of Greek gods (example: Poseidon became Neptune). You see, when the Romans conquered a nation, they not only conquered the land and ruled the people--but they also believed that they conquered the gods of those people. The Roman emperor was considered the god who ruled all the other gods. So, in 320 A.D., the Christian church was incorporated into the Roman government of authority and rulership (something which Jesus specifically said NOT to do-!) The church had a huge "make-over". The Roman system of one person "exercising authority" over another was substituted for the simple, apostolic operational plan Jesus had set forth. The Roman emperor claimed to be the "head": of the church, (the Bible specifically states that Christ is the Head of the church) and the gifts of ministry became titles of rulership within an hierarchy. These changes in the church are very surely recorded history--and that is our only point. It may be that the church system had begun to be changed in the times before Constantine. No one person is really "to blame"--but it is indisputable fact that in this ancient period of history, the church was changed--and it is clear that these changes were powerfully enforced and held to, in the hundreds of years that followed. Which in his times he shall shew, who is the blessed and only Potentate, the King of kings, and Lord of lords; (1 Timothy 6:15, KJV). As catholic history documents--the focus of the church became teaching and pastoral guidance (now defined as "rule"). After all--if everyone in the known world was now considered to be a Christian, there was no more need of apostleship! This is clearly a re-defining of the new testament Bible example--and a pivotal aspect of church history. STUDY CHURCH HISTORY FOR YOURSELF! These events in the history of the church made huge changes in the plan of church operation which the Bible gives us. They are well documented--but rarely studied. If you study, you will find that even catholic theologians agree that these decisions may not have been the will of God--and clearly lead to much corruption within the church. These events can be debated endlessly--but it is clear, well documented fact that the church was changed by Rome--specifically in the areas of church operation--ministry--and authority. The church and the state were now firmly joined together. Rome fell, but the Roman church did not. However, the Roman church fiercely clung to the rules and structure that Rome had imparted to it. The rules that Roman emperors set for the church are still influencing the church today. The catholic institution has dogmatically clung to it's traditions--the Roman traditions--which have been passed down though generations. When generations are born into a church structure--it becomes difficult for anyone to see any other possibilities. The church of this age was a government--a ruling authority, that believed in forcibly conquering people--and making them adhere to the church practices and format of "teaching and tithe-paying to rulership". This format was literally forced upon western European peoples and became the powerful definition of what "church" is meant to be. It certainly was one of the things which made the dark ages "dark"! Church "rule" thought it right to have inquisitions against anyone it pleased--but most especially against any non-Christians and particularly Jews. European anti-semitism had it's birthplace in the church of this age. The corruption of individual leaders was rampant in the dark ages--at the same time--there were many Godly people within the church. There were certainly some "saints" in the dark ages--usually people who read the Bible (although the common people were not allowed to read scripture) and got the message of love and service toward others that Jesus had taught. 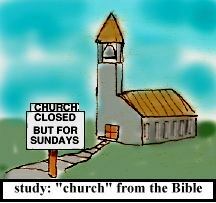 Unfortunately, church "rule" decided that the common people could have no access to the Bible. The dark ages illiteracy of the majority of the people is where we get our concept of a "clergyman". The word clergy or "cleric" is a word of medieval origin--meaning "someone who can read". In most villages, the priest of the local parish was one of the few literate people. Only he was "allowed" to read the scriptures and and conduct the mass (which was in Latin--no one could understand it anyway--!). Studying the dark ages ought to give us an idea where church tradition was built. Imagine the countless generations--born into these ideas--church "rule"--strict format of worship--no access to scripture--"ministry" a ruling office, exercising authority over others in a powerful way--certainly no apostleship or release! People were "saved" by an official baptism at birth--and held to legalistic obedience to man's rule in their lifetime. These were the definitions of the "church" and the way a Christian's life was structured. Question: To what degree do we still follow these dark ages traditions today? But wait, hasn't the church changed? Wasn't there a "reformation"--? Yes, thank God. About 500 years ago the printing press was invented, and the Bible (through much opposition from the church) was printed and translated into common languages. People started to notice that the Bible did not say that one was saved by official baptism, church attendance, submitting to authority, and paying tithes. Somebody read John 3:16 and Romans 10:9 for the first time and shared the Gospel with others! People began to realize that they were saved by faith in Jesus--by His blood on the cross--and His resurrection----by a "gift"
"For by grace are ye saved through faith; and that not of yourselves: it is the gift of God: Not of works, lest any man should boast. (Ephesians 2:8-9, KJV). But what about the church? What happened to the operational plan of the church? Henry rebelled against the authority of the pope (for personal and political reasons) and immediately proclaimed himself the "head" of the church in England (he made everyone in the country sign a document to that effect!) And, as history clearly records, the operational plan of the church largely remained the same. The priests of the catholic church became the "pastors" of the protestant church--with all the same rights of rulership and "authority" that Rome had established. KING JAMES--WHO WAS HE ANYWAY? Shortly after Henry the 8 came king James. You have probably read the Bible translation that bears his name--and good for you--because the king James Bible is generally speaking, one of the most accurate Bible translations. But, who was king James? He, like the other protestant monarchs of his day, believed firmly that he was in his position by God's will, and in fact all his decisions came from God (something called the "divine right of kings"). King James "ruled" with "authority" " over" his "subjects" who had to "submit" to his "God-given "authority". When the translators were doing their job for king James, they tried, everywhere they possibly could, to insert these words--and the concept that the common people ought to "submit to the rule" of the king. hupotasso--A Greek military term meaning "to arrange [troop divisions] in a military fashion under the command of a leader". In non-military use, it was "a voluntary attitude of giving in, cooperating, assuming responsibility, and carrying a burden". Question: Which is it? Rule with authority over others--in a "military fashion? Or is Christianity supposed to work by brotherly co-operation? THE AMERICAN REVOLUTION--WHAT A GREAT THING! "The Spirit of the Lord is upon me, because he hath anointed me to preach the gospel to the poor; he hath sent me to heal the brokenhearted, to preach deliverance to the captives, and recovering of sight to the blind, to set at liberty them that are bruised," (Luke 4:18, KJV). To be "set at liberty" is a part of the Gospel, as Jesus defined it. Understanding Christian "liberty" is what this book is all about. The American revolution was a great thing--a Christian thing to do and very much backed by the word of God and the teaching of Jesus. But, the question we have is this: did the operational plan of the church change at the grass roots level of the local church? The answer is NO. The fact is that our nation was, until very recently in history, a "Christian" nation. The presumption that everyone in our cities and towns were Christians (albeit--different types--"denominations")--a presumption that started in the Roman empire, has prevailed to our day. Remember, the Roman idea was that--IF everyone is a Christian, then all that needs to be done is teaching and "rule". The church of our day and age needs to wake up and realize that everyone is not a Christian! The people around us, in our own communities, need the Gospel, and it is our collective job to carry it to them! The most interesting part about studying the history of the church is to sort of "step back" and take a look at the direction we are heading--to get an idea of where God is taking the church. "Then cometh the end, when he shall have delivered up the kingdom to God, even the Father; when he shall have put down all rule and all authority and power." (1 Corinthians 15:24, KJV). We do not follow after Roman emperors (who supposedly had the "authority" to declare everyone "Christians!). We do not believe in the authority of dark ages popes (who had armies to conquer people) We do not believe like Charlemagne (who believed that he had the God-given calling to kill and conquer and forcibly "convert" people). We do not believe that church leaders have the authority to conduct inquisitions (to hunt down torture or kill non-Christians--which were mostly our spiritual brothers--the Jews!) We do not follow after the rule and authority of protestant kings (who "had the rule" "over" their "subjects" who had to "submit" to their "authority"--although we still follow after a Bible which contains these archaic terms--terms which do nothing but confuse us and hinder God!) We do not believe that the church IS the government of our communities--with "authority" to burn people at the stake (as was believed in early New England). Unfortunately, many of the operational principals put into place by these Christian "rulers" still prevail over the vast majority of Christian believers. The tradition and rule of man is clearly the enemy of the church (and in fact the Enemy IN the church!). Study history and you will find the things that we do not believe in--all things that were in the past called "God's authority and rule" within the church. Do you still want a man who says that he is "Gods' authority and rule" in your church? This is just a brief outline of our predecessors. We urge you to study for yourself and come to your own conclusions. We believe that any honest study of Christian history will show 2 major points. 1. The church was changed by Rome. The Roman empire heavily influenced the structure and operational plan of the church. The apostleship and commonness of the Bible church was changed to a structure of authority and rule, which stressed teaching instead of outreach. 2. At the time of the reformation, many Biblical doctrines were returned to the church--yet the structure and operation of the church remained largely the same. The pope became the king--the priest became the pastor--and the majority of people remained in a non-functional "flock". Carry these things into our day and age. The denominational churches that originated in these times are certainly still around today. The majority of Christians belong to denominations that originated during these past times--and were formed and operate by the rules of those ages past. How influenced are we, today, by Christian history? If we don't study--we will never know! Question: Do you think that we ought to operate the Christian church by the rules introduced by Roman emperors, dark ages popes, and protestant kings? Well, what is the right way to do things? It is the vision of revival that God has already planted in your heart! 1. MINISTRY--Purely From The Bible! "The Spirit of the Lord is upon me, because he hath anointed me to preach the gospel to the poor; he hath sent me to heal the brokenhearted, to preach deliverance to the captives, and recovering of sight to the blind, to set at liberty them that are bruised, To preach the acceptable year of the Lord." (Luke 4:18-19, KJV). Why don't we look in the Bible, and find out what Jesus did. What was HIS ministry to the world? Well, we all know--He brought the Gospel--right? But do we know ALL the Gospel gives us-? In this verse of the Bible, Jesus, at the beginning of His earthly ministry, outlines specifically what He will do. 1. "Gospel"--the Good News of salvation thru faith in His name. 3. "deliverance" from all the attacks of the enemy and the entrapments of sin and the world. 4. Feeding the poor. Notice to whom Christ directs His ministry ("the poor;--the brokenhearted--the captives--the blind--them that are bruised"). Jesus miraculously healed and delivered--but He also miraculously fed the poor. (Matthew 15, Mark 6, Luke 9) Feeding the poor--specifically those that are our brothers--is central to the Gospel, and that of the operation of the church in the Bible. The giving that Jesus and the church in the Bible demonstrate to us was Spirit-lead, toward the poor. 5. "To set at liberty". The Greek reads this way: "apostello--aphesis" (meaning liberty or release) Jesus is saying that an intrinsic part of His Gospel is "apostolic liberty" literally--the right to serve God freely. Think about it. Did Jesus bring salvation? (of course!) --Did He heal people? (of course!) Did He cast out the devil? (of course!) Did He feed the poor? (of course!) DID HE MAKE APOSTLES? (OF COURSE!!) And didn't these things happen to anyone who met Jesus with faith? To "them that believe"? Jesus said these things directly after He had been filled and empowered with the Holy Spirit ("the Spirit of the Lord is upon Me and has anointed me...") the "anointing" speaks of ministry--this is Jesus' outline of His ministry--His purposes--His mission. But let's keep reading the Bible. The Bible goes on to describe a church--a "body of Christ"---people who, as a group, carried on exactly these same purposes. They were filled and empowered with the Holy Spirit--and worked together--in groups--on a daily basis--as brothers and sisters--and spread this same Gospel of salvation, healing, and deliverance. They fed the poor in their midst--and they did it all apostolically (in groups). Like it or not, this is the example we have from the word of God--as the "church". It's called Acts of Apostles---not Acts of Pastors---right? The Gospel of Jesus Christ includes release (apostleship). Do we really operate together from this standpoint? In the Bible, when people met Jesus, they immediately were saved--healed--delivered and set free to serve. After He had fed the 5,000, Jesus was leaving on a boat, but before He left He "sent away" the crowds. The way the Bible is translated it sounds as if Jesus went to the people and said "Okay--break it up--show's over--everybody go home!" But the Greek words which are translated as "sent away" is the Greek: "apoluo"---(a root word of apostello)--which means to release. Release was part of the Gospel that Jesus preached--do we preach it that way today? THE GOSPELS OF THE MINISTRY OF JESUS CHRIST......Jesus was sent of the Father, to bring us the Gospel--a Gospel of salvation, healing, deliverance, feeding the poor, and apostleship. These were His "actions"--His purposes--His ministry. This web page is simply the 4 Gospels, color-coded to emphasize the actions of our Lord, to help you study His ministry, and to release you to operate with His same purposes, in your life. THE GREEK WORD "APOSTELLO" often translated as the little word "SENT"
"Neither pray I for these alone, but for them also which shall believe on me through their word;"
We believe in Jesus through the words written by those apostles--back then. The same apostleship they received from the Lord, is meant for all believers. Release is part of the Gospel--a God-given right for every believer. Do we operate our churches today by this principle? MINISTRY--A GIFT "GIVEN UNTO EVERY ONE OF US"
1 I therefore, the prisoner of the Lord, beseech you that ye walk worthy of the vocation wherewith ye are called, 2 With all lowliness and meekness, with longsuffering, forbearing one another in love; 3 Endeavouring to keep the unity of the Spirit in the bond of peace. 4 There is one body, and one Spirit, even as ye are called in one hope of your calling; 5 One Lord, one faith, one baptism, 6 One God and Father of all, who is above all, and through all, and in you all. 7 But unto every one of us is given grace according to the measure of the gift of Christ. 8 Wherefore he saith, When he ascended up on high, he led captivity captive, and gave gifts unto men. 9 (Now that he ascended, what is it but that he also descended first into the lower parts of the earth? 10 He that descended is the same also that ascended up far above all heavens, that he might fill all things.) 11 And he gave some, apostles; and some, prophets; and some, evangelists; and some, pastors and teachers; 12 For the perfecting of the saints, for the work of the ministry, for the edifying of the body of Christ: 13 Till we all come in the unity of the faith, and of the knowledge of the Son of God, unto a perfect man, unto the measure of the stature of the fulness of Christ: (Ephesians 4:1-13, KJV). This part of the Bible describes what the church is supposed to look like. It says the "church" --the group of us--is like a body. Each part of your body has a function. Each part of the church is meant to have a function--a job (vocation) to do. You can read a very similar description of "the church" in 1Corinthians chapter 12. "Thou hast ascended on high, thou hast led captivity captive: thou hast received gifts for men; yea, for the rebellious also, that the LORD God might dwell among them." (Psalms 68:18, KJV). The bible says the gift of ministry is given unto "men" (Hebrew "adam"--meaning "mankind") The gifts listed are "apostles-prophets, evangelists, pastors and teachers". The Bible says clearly that these are the gifts which any Christian can operate in. Within the body--within the church--there will be "some" of each--and ALL TOGETHER THEY MAKE UP THE WHOLE BODY. This is a unique statement in the bible. What this says is that these gifts--operating in ALL the church--are Gods' plan to build the body--to build His kingdom--His church--(by adding new members--and empowering those that are members). The more of these gifts that we have and use--the more God will build His kingdom in the earth. Do we really understand what these gifts are? In understanding what the ministry gifts really are--we have a translation problem! Three of these words are in (half-translated) Greek. One of them is Latin. This is the tradition (going back to the Roman empire church) of understanding ministry functions as "titles" of rulership. Of course we know that Jesus said that ministry (which always means "service"!) is specifically NOT authority or rule over others within the church. (Yes--serving God gives authority over the enemy--and authority over sickness and sin--in the name of Jesus--but NOT authority to rule "one over another amongst yourselves"
25 But Jesus called them unto him, and said, Ye know that the princes of the Gentiles exercise dominion over them, and they that are great exercise authority upon them. 26 But it shall not be so among you: but whosoever will be great among you, let him be your minister; 27 And whosoever will be chief among you, let him be your servant: 28 Even as the Son of man came not to be ministered unto, but to minister, and to give his life a ransom for many." (Matthew 20:25-28, KJV). 25 And he said unto them, The kings of the Gentiles exercise lordship over them; and they that exercise authority upon them are called benefactors. 26 But ye shall not be so: but he that is greatest among you, let him be as the younger; and he that is chief, as he that doth serve." (Luke 22:25-26, KJV). Minsitry is NOT authority over others--it is FUNCTION! "Teacher" is the only ministry gift which is in English. The Bible says that we ought to have "first" (primarily--of first importance) apostles--and secondarily prophets---and teaching is supposed to be our last concern. Unfortunately we have strong tradition that says teaching is the central and ruling gift of the church. Remember our history lesson--this idea comes from the time (over 1,000 years!) when "everyone" was a Christian. The "logic" of those dark ages was that since everyone was a Christian--it was only necessary to teach and rule over the people. There was no need for apostleship--and since there was one absolute leader of the church (whether he was the emperor--pope--or king) there was no need for the prophetic gift to be used to give God's word to the body of Christ. If we truly believe in apostleship and the prophetic gift, why do we follow a format developed by people who did not believe in these things? Our tradition says that teaching ought to be the ruling gift of the church, and that one man in the church has the "God-given right" to be the teacher of the church. This little (and totally ignored!) new testament verse says clearly and simply that "by this time--you ALL ought to be teachers". What does this mean? The writer of Hebrews is simply saying to the church that they are not moving in the direction that God wants--which is for ALL the people to be ministering (serving! ), in the gifts they have been given. This verse is saying, that since they have been Christians for a time--they all at least, ought to be able to teach the word of God. They ALL ought to be moving toward serving God in the least way--which is teaching. The Bible then goes on to say that since they are not moving in the direction of ALL serving God, what they need to do is to go back to square one--to "re-understand" the first principles of Christ. They ought to get their heart right with God, and let Him change them once again--and move the church toward ministry--toward active operation and serving God. By the way--the Greek word translated in Hebrews 5:12 as "teachers" is the very same word used in Ephesians chapter 4:11. This ought to make it clear that the Bible does not designate those gifts listed in Ephesians 4 as special "office" gifts. Ephesians 4 is not describing the "officers' of the church. The church is NOT supposed to be a "police state"! (This idea comes from Roman empire "police state" of 1700 years ago!) The word "office" in the Bible is actually the Greek "diakonos"--which is almost always translated as the English words "servant" or "minister"---there is no new testament "ruling office"--it's just our old covenant concepts being translated into new covenant doctrine---by 1700 years of "church experience"-! "By this time--ALL of you ought to be teachers"
Ever hear that taught in your church? Are we truly striving toward ministry in every member of the church? In the Bible, there is only one person who is called and evangelist (Greek: euaggelistes--yes, again, another one of those half-translated Greek words)--his name is Philip. In the Bible, Philip is shown witnessing the Gospel--(all the Gospel--God heals and delivers people through him-!) --by himself--NOT in a group. Our main point here, is that Philip, the "evangelist" is the exception to the apostolic operation seen everywhere else in the new testament. Most often in the Bible, Christians operated in groups (apostleship)--but it can be done alone--God can work through us as individuals--but clearly, the "evangelist" is the exception rather than the rule. "And it shall come to pass in the last days, saith God, I will pour out of my Spirit upon all flesh: and your sons and your daughters shall prophesy, and your young men shall see visions, and your old men shall dream dreams:" (the promise of the new covenant--Acts 2:17, also Joel 2:28). "Prophet" and "prophecy" are "half-translated" Greek words. 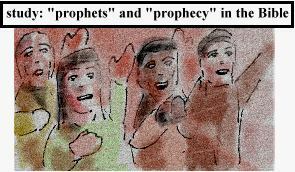 To "prophecy" simply means "to speak"
"Prophecy" is not necessarily a prognostication of the future. In the new testament Bible, the prophetic word was one of the ways God the Holy Spirit gave Guidance to the church. .........."How is it then, brethren? when ye come together, every one of you hath a psalm, hath a doctrine, hath a tongue, hath a revelation, hath an interpretation. Let all things be done unto edifying." (1 Corinthians 14:26, KJV). "ALL" may prophecy. (here we go again with the Bible encouragement that ALL minister in their gifts!!) Look again at what verse 23-25 says. When the whole church is together, if ALL prophecy, (which in this case is to speak the word of God understandably--as opposed to tongues) PEOPLE WILL GET SAVED! If ALL prophecy, unbelievers will walk in and be convicted of God (through the prophetic word in ALL--NOT just the pulpit!) --and the unbeliever will believe in God. Also notice that "doctrine" is for "every one of you"---again the Bible tells us that any of us may teach. The format described in these verse says that we should have 2 or 3 people teach or speak the word at any given meeting--(what a concept!). God, in the Bible, spoke through whomever HE wanted to. How can He do this if we have eliminated the posibiltiy and hindered the opportunity? 37 If any man think himself to be a prophet, or spiritual, let him acknowledge that the things that I write unto you are the commandments of the Lord. (1 Corinthians 14:37, KJV). This is the only place in the new testament which uses this phrase ("the commandments of the Lord."). If we study the entire book of 1Corinthians, we will see that the church at Corinth had been straying and was in disobedience. Take a look back at 1Corinthians chapter 10, verse 1 and 2. Paul is saying first to "imitate" him as he imitates Christ (Paul an apostle--but we will look at that later!) --and then he says he is going to reiterate the "ordinances" (rules of conduct). Read through 1Corinthians chapters 10-14---these are all the "ordinances" and the "commandments of the Lord" for church operation. This is how things ought to be "when we come together"
"How is it then, brethren? when ye come together, every one of you hath a psalm, hath a doctrine, hath a tongue, hath a revelation, hath an interpretation. Let all things be done unto edifying. (1 Corinthians 14:26, KJV). Do we obey these rules fully? The word of God tells us that if and when we do obey these rules--God will be fully operational through His body, and so, more people will get saved! We ought to study these and ask ourselves if we truly obey these commands---ALL of them! But what do they describe? Really--it is a very simple format. 1. Gather together anywhere (usually someone's home)--as often as possible--in any number--("For where two or three are gathered together in my name, there am I in the midst of them." [Matthew 18:20, KJV]-- --this is an operational principle --!!) Frequent (if possible--daily!) functional and humble meetings are the Bible example. 2. Pray, and worship and talk to one another. "Break bread" together--talk about ways to carry on Christ's purposes. His purposes ARE the purposes of your meeting together. TALK about how you can get people saved--healed--delivered--fed--and set free. PRAY along these same purposes. In the course of meeting, prayer may be in the Spirit (ALL the gifts of the Spirit must be operating!--how else will God the Holy Spirit give His Guidance?) But--the word from the utterance of the Spirit--must line up with and be directed toward the purposes that Christ gave us. In the Bible, the prophetic word always lead people toward fulfilling Christ's mission. The Holy Spirit gave the "where" and "when"--the specifics of witnessing the Gospel. 1 Now there were in the church that was at Antioch certain prophets and teachers; as Barnabas, and Simeon that was called Niger, and Lucius of Cyrene, and Manaen, which had been brought up with Herod the tetrarch, and Saul. 2 As they ministered to the Lord, and fasted, the Holy Ghost said, Separate me Barnabas and Saul for the work whereunto I have called them. 3 And when they had fasted and prayed, and laid their hands on them, they sent them away. 4 So they, being sent forth by the Holy Ghost, departed unto Seleucia; and from thence they sailed to Cyprus. (Acts 13:1-4, KJV). Here are people obeying the commands of how to operate together. 1. Notice: they are called prophets and teachers--because that is what they are doing. They know they have the God-given right to minister. 2. Also note: Paul (Saul) is among them--but here he is called a prophet/teacher--NOT an apostle--since he has not been "sent" (Greek: apostello)--although he had been previously. Once again we see--"apostle" "prophet" etc.--are NOT titles of rulership--they are functions that Christians do. 3. We see that there is no one specific "leader" (no "pastor"--!). God is going to lead them--the Holy Spirit is going to speak through the prophetic gift in any or all of these men. 4. The "Holy Ghost speaks"--and gives specific directions about "who" to send to "where" This is the kind of prophetic word we ought to actively seek! Question: can the Holy Ghost operate in this way through your church? 5. They immediately DO what God says to do. They are meeting in a format (the small group!) that lends itself to quick action--and they "send" (yes--Greek: apostello--!!) Paul and Barnabas immediately. This is the core of apostleship and church operation. Quick and direct action--as a team. Readiness to carry on Christ's mission--and respond to the Holy Spirit direction. This is apostleship in action. 6. The gifts and purposes all work together. They are equals together in the Lord. They operate in "Gods' format"--the example the Jesus had set for them. The direction of the Holy Ghost is to carry on Christ's mission--to further the Gospel. The church ought to always have Luke 4:18 as it's "mission statement"
When we study history we see that hundreds of years ago the Romans eliminated the apostolic and prophetic parts of Christian ministry--in favor of their ideas of rulership through "official" teaching and "pastoral" authority. Dispensational thinking was devised by protestant church leaders to carry on the familiar format and carry the "rule" to their Christian kings. The plan in the new testament Bible is simpler, more direct, and more efficient in carrying out Christ's mission--which is the mission that every Christian and every church ought to be focused upon. A mission which we ought to spend ALL of our time, effort and money carrying out with ALL of us operating in every gift that God has given us. The word "apostello" (translated as "apostles--or "sent") is used over 200 times in the new testament. the word "pastors" is used only once. As we have found--"apostolic liberty" (see Luke 4:18) is an intrinsic part of the Gospel. It is the God give right for every believer to serve God in the gifts they have been given. It is the freedom to follow the will of God in our lives directly. It is the right to truly have Christ as our Head--but not just as individuals--rather as a church. In the Bible, when people met Jesus, they got saved--healed--delivered--fed--and released (apostello). When people meet Jesus today, genuinely, by faith--the very same thing happens (Jesus Christ the same!) --they are often healed--delivered for their problems and burdens--they are "saved" from the consequences of their sin (hell!) and receive the free gift of eternal life--ALL by simply meeting Jesus with faith. But one more thing happens. Have you ever noticed that new believers have a very strong desire to go out and tell others about Jesus? Did this happen to you when you first met the Lord? Unfortunately, most new believers go to a church (the Bible does not tell us to "go" to church, it tells us to "be" the church -!) and are usually told that they must "wait" to serve God--or they must be educated--they must gain "experience" --"work their way up through the ranks" --etc. Our system of church seeks people who will show up on time, dress properly, act properly, be quiet and respectful, pay the leadership as requested, not put too many demands on the leader, and NOT think they should minister in the church. Apostolic liberty--as part of the Gospel--gives every believer--new or old--the right from God to minister--in the gifts-- (yes--"the 5-fold" ministry gifts!) they are called to.
" Verily, verily, I say unto you, He that believeth on me, the works that I do shall he do also; and greater works than these shall he do; because I go unto my Father." (John 14:12, KJV). So many things that most Christians take as commands for themselves (example: "witness the Gospel to every living creature") were commands that Jesus gave to apostles. If we take those commands to witness and love others--we are following after Jesus' teaching to (you guessed it) apostles. 28 And God hath set some in the church, first apostles, secondarily prophets, thirdly teachers, after that miracles, then gifts of healings, helps, governments, diversities of tongues. (1 Corinthians 12:28, KJV). The word translated as "first" in this verse means ..."primarily" or of "first importance". The church tradition of saint worship (remember--the folks who gave us our common church format worshiped the apostles as "official" saints), has always lead us to believe that the Bible here is speaking about some type of ranking in heaven. No. The Bible in it's own context is saying that the church ought to have apostleship as it's first concern. The church in the Bible certainly did--what is our excuse? This area of scripture tells us plainly and directly that the church ought to have apostles as the first priority. Apostles are what we ought to be looking for in our midst. Simple: A GROUP of believers, that carry Christ's ministry out to the world. Apostles work together in a group. Apostles witness the Gospel out to the world. Apostles pray for the sick and those in need of deliverance--out in the world. Apostles feed the poor--out in the world. Apostles release others freely. Maybe being an apostle isn't as hard as we think! Maybe it just takes the love of God inside of us--working in co-operation with the love of God in other brothers and sisters, so that Christ can be " in our midst" and doing HIS ministry, everywhere, and as often as possible! How can someone be saved? "That if thou shalt confess with thy mouth the Lord Jesus, and shalt believe in thine heart that God hath raised him from the dead, thou shalt be saved. (Romans 10:9, KJV). How are Christians commanded to carry this message out to the world? "For whosoever shall call upon the name of the Lord shall be saved. How then shall they call on him in whom they have not believed? and how shall they believe in him of whom they have not heard? and how shall they hear without a preacher? And how shall they preach, except they be sent?.... "(Romans 10:13-15, KJV). Jesus died for everybody--right? And all that someone has to do is call on His name to be saved--right? BUT...WE (ALL of us again!) are told to bring the message of salvation out to the world--in every way possible--to "preach" (this means to "proclaim"--our experience may tell us that this is a "pulpit"--but the word used here means to "publish"--meaning to proclaim a message in every way possible). But there is one more question! "And how shall they preach, except they be sent?" The Bible is here saying that people will not be saved without someone doing the apostolic work. Apostleship is what gets people saved. You know what? We Christians do apostolic work all the time. Unfortunately we do it "by accident"-! Have you ever had the Lord put it on your heart to witness or pray for someone? I'm sure we all have had that happen! That's what apostleship is--listening to God--and going to whom He directs you--and bringing Jesus with you--letting the Christ within you operate--letting God the Holy Spirit speak the words for you. Think about how you were saved. Did you just happen to wander in to church on Sunday and hear the salvation message? Probably not! Most of us get saved through a group of people (perhaps over years of time) that God "sends" to us, who sow the word into us. We call this "accidental" apostleship. Imagine how powerful and effective we might be as Christians, if we purposefully directed ourselves toward this apostleship that really does all the work! The Bible tells us that this apostleship ought to be the primary--the first priority in the church. Apostolic ministry should be our first and main concern--we need to understand that no one gets saved without someone doing that work! The Bible says this! Does apostleship come first in your church? Our purpose in this booklet is not to present "all the answers". We are not absolutely correct all the time! Our real purpose is to encourage every Christian to study 3 areas in the Bible--ministry--the operational plan of the church--and authority. The 3 subjects are interrelated. The operational plan of the new covenant church is meant to be the ministry of every member of the body--working to carry on Christ's mission in the earth and using His authority properly. Study these subjects for yourself--you will probably learn more than we! 2. AUTHORITY--Who Has It--and What NOT To DoWith It! "Authority"--(Greek: exousia) "the power to rule over"
"For God so loved the world, that he gave his only begotten Son, that whosoever believeth in him should not perish, but have everlasting life. For God sent not his Son into the world to condemn the world; but that the world through him might be saved." (John 3:16-17, KJV). Note the word "sent" (Greek: apostello). "And this is life eternal, that they might know thee the only true God, and Jesus Christ, whom thou hast sent." (John 17:3, KJV). Jesus was "sent" of the Father--to save us all. "Wherefore, holy brethren, partakers of the heavenly calling, consider the Apostle and High Priest of our profession, Christ Jesus; (Hebrews 3:1, KJV). Doesn't this simple Bible verse tell us that we ALL--"brethren"--have an apostolic calling to share the Gospel with others? "And when he had called unto him his twelve disciples, he gave them power against unclean spirits, to cast them out, and to heal all manner of sickness and all manner of disease." (Matthew 10:1, KJV). Believers have authority over all manner of sickness and disease. Yes, Jesus heals. He healed all who believed 2,000 years ago, and He heals today--if we will believe in Him--in His authority---by faith. Every believer has the the right--the authority--the power to rule over sickness--in the name of Jesus Christ. Christ within any believer can heal. "And these signs shall follow them that believe; In my name shall they cast out devils; they shall speak with new tongues; 18 They shall take up serpents; and if they drink any deadly thing, it shall not hurt them; they shall lay hands on the sick, and they shall recover." (Mark 16:17-18, KJV). The Bible says that all believers have the authority to cast out the devil and his demonic forces in the earth. All believers have the victory over every worldly spirit and every deception of the enemy. God inside gives discernment, but we as believers must speak out our authority--and our authority is meant to be used to help (minister to) others. We ALL as believers have the right to witness the Gospel, to pray for the sick and to pray for those in need of deliverance. Authority (the God-given power to rule)--Over--"sin--sickness--and satan"
Jesus as a man in the earth, demonstrated His power to rule over these things--and He clearly imparted this authority to all who followed Him by faith. It is His Holy Name that saves--heals and delivers us---and saves--heals and delivers others--through us., the church--His body in the earth. This is Jesus' description of Himself. He has taken a journey (gone to His place of authority at the right hand of God in heaven). He says very succintly that He has given His authority--to His servants--to "every man" his work. Christ's authority is in every one of us--we are ALL called to serve (minister) this authority, and follow His example. "And Jesus came and spake unto them, saying, All authority is given unto me in heaven and in earth." (Matthew 28:18, KJV). Jesus, is now--siting at the right hand (symbol of power) of God the Father. The most powerful place of authority and rulership in all existence. He has all power--He releases His power to them that believe. He is sitting in His place of authority because he laid down His life, and saved all. He is now the Head of the church and no on in the earth has or ever has had the right to claim to be the head of the church. Eph 5:23* For the husband is the head of the wife, even as Christ is the head of the church: and he is the savior of the body. Col 1:18* And he is the head of the body, the church: who is the beginning, the firstborn from the dead; that in all things he might have the preeminence. Christ is meant to be the direct Head of every member of His body. No one part of the body is meant to rule over another. "For I say, through the grace given unto me, to every man that is among you, not to think of himself more highly than he ought to think; but to think soberly, according as God hath dealt to every man the measure of faith. For as we have many members in one body, and all members have not the same office": (Romans 12:3-4, KJV). We are all meant to be brothers and sisters in the Lord--with love ruling amongst ourselves--so that Christ can truly be the Head. 4. What NOT To Do With Our Authority!! "God has set some people over the church. He has given them authority over the others. If you submit to this authority, is will benefit you"
"But Jesus called them to him, and saith unto them, Ye know that they which are accounted to rule over the Gentiles exercise lordship over them; and their great ones exercise authority upon them. But so shall it not be among you: but whosoever will be great among you, shall be your minister:" (Mark 10:42-43, KJV). "But Jesus called them unto him, and said, Ye know that the princes of the Gentiles exercise dominion over them, and they that are great exercise authority upon them. But it shall not be so among you: but whosoever will be great among you, let him be your minister;" (Matthew 20:25-26, KJV). In these verses of the Bible, Jesus clearly says that we should not "exercise authority" one over another amongst ourselves. As we have seen--God's authority is meant to be directed toward the enemy (sin--sickness and satan-!) and NOT used to rule over one another. Specifically (as Jesus says!) NOT by the way of the "kings of the Gentiles". Study this phrase-- "kings of the Gentiles". Jesus was specifically naming out the way of worldly rule (which He defines as "exercising authority over" others). Certainly "kings of the Gentiles" includes the Roman empire and it's rules. Rome ruled nearly all the world (including Israel) in the times of Jesus. But we don't need history books--the Bible itself gives us the history of the times. The only person in the new testament who said he was "a man set under authority"--was the Roman centurion! Look at again at these verses of the Bible. (Question: have you ever heard anyone teach on these verses?--we haven't!). It is very easy to set aside this doctrine that Jesus is teaching. It is very easy to just say "exercising authority" is a "heart attitude"--it means that we should not accept wicked leadership in the church. But--look carefully at these verses in Luke. Jesus is talking about --"authority that benefits you"! He is speaking about the concept that one person's authority--some type of greater human authority--will be beneficial to you. We should be more careful with that word--AUTHORITY! The Bible tells us to submit to God's authority--it never tells us to submit to one "greater person's" authority. It never names out any particular ministry gift as the "ruling office" of the church. 1 The elders which are among you I exhort, who am also an elder, and a witness of the sufferings of Christ, and also a partaker of the glory that shall be revealed: Feed the flock of God which is among you, taking the oversight thereof, not by constraint, but willingly; not for filthy lucre, but of a ready mind; Neither as being lords over God's heritage, but being ensamples to the flock. And when the chief Shepherd shall appear, ye shall receive a crown of glory that fadeth not away. Likewise, ye younger, submit yourselves unto the elder. Yea, all of you be subject one to another, and be clothed with humility: for God resisteth the proud, and giveth grace to the humble. (1 Peter 5:1-5, KJV). The word translated as "submit" is the Greek word "hupatasso"--but in the very next sentence, the word translated as "be subject" is also "hupatasso". "Submission" (brotherly co-operation!!!) is meant to be a two-way street within the church. Younger to elder--but yes also, in the very same way--elder to younger. The greatest shall be as the younger. This is different than the system of rule and authority in the world at that time. Those that were older were considered to be wiser and were given authority and rule over the rest. Jesus is saying that to be great--is to serve others--and very specifically NOT to "rule with authority over" others--amongst ourselves. This area of scripture is often used to "fit our church experience" because of some of the words used. What this is saying, is a message to the older people within the Christian community--that they ought to watch out for the others. There is no "rule" to "submit" to here. There is no mention of any ministry "office" here (no "pastor"--right?) The term "flock of God" again--is simply a reference to a group of people--NOT a term which means rule by authority over others, who have no ministry toward the Lord. Notice--the Bible says that we ought to submit equally to one another--elder to younger--and yes--younger to elder--in the very same way! (A similar translation problem exists with regard to the commandments for husbands and wives. Ancient translators used that word "submit" again--but the truth is that husbands and wives are told to co-operate in a loving way with one another. Wives are NOT to have "submission" to every order and command, but co-operation with the husbands Godly love (the agape kind!). Anyone who is married, as a Christian, needs to know that love is meant to "rule" within the family--certainly not a hierarchy of command. The word of God is consistent--but if we are insistent upon the "system" that has been handed down to us (ultimately by Roman emperors!!) --we will continue to see the word by our perspective rather than the by the way Jesus handed us the new covenant. Read It Again-- in Luke. "And he said unto them, The kings of the Gentiles exercise lordship over them; and they that exercise authority upon them are called benefactors. But ye shall not be so: but he that is greatest among you, let him be as the younger; and he that is chief, as he that doth serve. For whether is greater, he that sitteth at meat, or he that serveth? is not he that sitteth at meat? but I am among you as he that serveth. Ye are they which have continued with me in my temptations. And I appoint unto you a kingdom, as my Father hath appointed unto me;" (Luke 22:25-29, KJV). Remember again how Jesus stated it in the book of Mark. The "great" person will be "your minister". The Greek word translated as "minister" is "diakonos"--the same word used in Ephesians chapter 4 to describe the "5-fold" ministry" (yes including "pastor"). These statements Jesus taught in Matthew 25, Mark 10 and Luke 22 are meant to be the foundational instructions for church ministry. ".....And I appoint unto you a kingdom, as my Father hath appointed unto me;"
Jesus goes on to say that He "appoints a kingdom". The Greek used here is the word "diatithemai" which means to "surrender over a covenant". Jesus is saying that this concepts of "NOT exercising authority one over another amongst ourselves" is meant to be a central part of the new covenant. This is the only place in the Bible that Jesus uses this word! Jesus clearly defines ministry (ALL ministry!) as service toward others and specifically NOT authority over others. Do we teach this actively within our churches today? Do we live this out? think about it this: Most Christians, I believe, have this understanding, when we are together in most ways. One of the greatest things in church meeting, is the brotherly love and commonness we feel and live out toward one another. AND YET--We spend so much of our time in a format of rulership that stifles this "commonness". (and calls itself "real ministry"!) It so important to understand that Jesus defines ministry as NOT authority over others. The commonness and love we have for one another is meant to be our operational basis--it is meant to be the springboard for all the ministry within the church. The example of Jesus Himself, and the church in the Bible follows this idea exactly. The only thing that stands in our way is living up to traditions' demands. Now understand what we are saying! There are nice people--great people--wonderful people behind nearly every pulpit. No one is using Christian leadership for evil purposes in our day and age. But--why do we have a pulpit? Why do we have the rules of worship that are NOT the rules that the Bible makes--rules that allow anyone to speak--teach--etc--AND rules that disallow and minimize apostleship. "Obey them that have the rule over you, and submit yourselves:....."(Hebrews 13:17A, KJV). Taken out of context this verse seems to say that "someone" ("pastor" is not mentioned--right?) "has the rule" over the church. The question is this: to what degree has this half-verse influenced our church operational plan? Let's undo 1700 years of superstition and study this verse carefully. "Obey them that have the rule over you, and submit yourselves: for they watch for your souls, as they that must give account, that they may do it with joy, and not with grief: for that is unprofitable for you." (Hebrews 13:17, KJV). Notice first that the Bible does not say that anyone "has authority" over the church--yet it is often implied by this verses misuse. Biblically, Jesus has authority over the church--we have authority over sin-sickness and satan--in His name. IN THE WORLD--leaders have authority. On a number of occasions (Rom 13--1Peter 2) we are taught to submit (co-operate!) with worldly authority as best we can--to obey the rules and laws of our society--in the WORLD-- BUT the Bible NEVER says anywhere that ANYONE within the church "has authority" over others. "Obey them that have the rule over you,......"
There is a phrase used: "have the rule over". This is a single Greek word "hegeomai". In the Greek this word means "leadership". But, what is the definition of "leadership" amongst ourselves? Christianity has a huge problem with this question. There are hundreds of denominations and churches--and ultimately all claim to be "God's correct rulers" or leaders. Can they all be correct? What should the definition of Christian leadership be? The word translated in these verses as "chief" is the same Greek word translated as "have the rule over" in Hebrews 13:17....hegeomai! The word translated in these verses as "chief" is the same Greek word translated as "have the rule over" in Hebrews 13:17....hegeomai!!! Jesus' definition of leadership is service toward others and SPECIFICALLY NOT AUTHORITY OVER OTHERS!! Jesus example of leadership was to organize people into their ministry, and release them to it. Do you want to be a Christian leader? Why not organize people to serve God fully and directly--just as Jesus did! Why not make apostles, instead of sheep? But What About "OBEY" and "SUBMIT"?? So, what is Hebrews 13:17 really saying? Doesn't it say "submit"? hupotasso: A Greek military term meaning "to arrange [troop divisions] in a military fashion under the command of a leader". In non-military use, it was "a voluntary attitude of giving in, cooperating, assuming responsibility, and carrying a burden". 2 meanings to submission: Military submission--or voluntary, brotherly co-operation--carrying one another's burdens. Clue: Many of the rules of Christian function were based on the Roman idea of military submission. Jesus and the Bible are asking us for something higher. Love. Brotherly co-operation, carrying one another's burdens. Love is meant to rule. Obey ("peitho"--listen to!) them that (serve) you and (cooperate)----as them that give account (Greek: "logos"--the word of God). Now, many say "the pulpit benefits us". No it is not the pulpit--or the rule--or the authority of the pastor that benefits you. It is the word of God which comes to you from that brother or sister who is teaching. But, if we believe it is specific authority--authority only given to "some" to "rule over us"--we effectively eliminate the word which ought to be able to come through any of our brothers or sisters in Christ. Since man has made the rules--how can God rule? If we disregard God's rules--how can He be the Head? If we choose to follow the leading of man--how can we truly receive all that God has for us--and carry on all that he would like us to do? "Isn't there an "office" of ministry?" Answer: In the new testament--NO! In the old covenant there was a certain tribe of Israel, the Levites--who were the "delegated--designated--authority" who had the "office"--the God-given exclusive right to do ministry in the temple of God. "And hath made us kings and priests unto God and his Father; to him be glory and dominion for ever and ever. Amen." (Revelation 1:6, KJV). "And hast made us unto our God kings and priests: and we shall reign on the earth." (Revelation 5:10, KJV). "Ye also, as lively stones, are built up a spiritual house, an holy priesthood, to offer up spiritual sacrifices, acceptable to God by Jesus Christ." (1 Peter 2:5, KJV). "But ye are a chosen generation, a royal priesthood, an holy nation, a peculiar people; that ye should shew forth the praises of him who hath called you out of darkness into his marvellous light:" (1 Peter 2:9, KJV). "If therefore perfection were by the Levitical priesthood, (for under it the people received the law,) what further need was there that another priest should rise after the order of Melchisedec, and not be called after the order of Aaron? For the priesthood being changed, there is made of necessity a change also of the law." (Hebrews 7:11-12, KJV). In the book of Hebrews--which elaborates on new covenant rights--it is made clear that the law is changed with regard to the priesthood--and there is no more Levitical priesthood. It is so simple to understand the difference between the old covenant and the new! There is one very significant change from old covenant to new. In the new covenant--we have a better sacrifice (Jesus' precious blood). All the changes in the new covenant have to do with this difference. His sacrifice at the cross undoes all the things that old covenant Israel had to do in order to have their sin forgiven. They had to build a temple (in Jerusalem only!) by specific guidelines--they had to have a tribe that was ordained for the priesthood in that temple. They had to sacrifice animals and grain (the tithe)--exactly as the covenant required. In the new covenant there is a new priesthood----ALL believers! "According to the custom of the priest's office, his lot was to burn incense when he went into the temple of the Lord." (Luke 1:9, KJV). BUT IT IS NOT THE SAME GREEK WORD! Rather , it was inserted by translators of hundreds of years ago, to preserve the idea of hierarchy and rule in the Christian church. 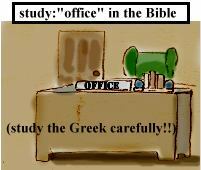 The word "office" in these verse is the Greek "diakonos"--which is a used many times in the Bible--and means "servant". It is most often translated as "minister" or servant or slave. "But Jesus called them to him, and saith unto them, Ye know that they which are accounted to rule over the Gentiles exercise lordship over them; and their great ones exercise authority upon them. But so shall it not be among you: but whosoever will be great among you, shall be your minister: (diakonos)" (Mark 10:42-43, KJV). Notice--- who are the "bishops" organizing? Tradition usually says that--"deacons" are people within the church who are "under the authority" and serve the pastor. But that doesn't fit with the rest of Bible doctrine (no "hierarchy" right?). "And he gave some, apostles; and some, prophets; and some, evangelists; and some, pastors and teachers; For the perfecting of the saints, for the work of the ministry, (diakonos) for the edifying of the body of Christ:" (Ephesians 4:11-12, KJV). The words used here say "these are the gifts of the ministry"--(Greek--diakonos!). If we translated the Greek consistently, we could say--"these are the gifts of the deacons". The fact is, that the "5-fold" ministry gifts are the gifts of the deacons (those who SERVE)--they are definitely NOT rulership titles. This description of the church (like all the others in the Bible) describes ALL the members of the body WITH A MINISTRY FUNCTION! It only describes "ministers" (deacons) in the church. The fact is that nearly all Christian churches imitate the Roman designated offices of ministry to some degree. But they are not Biblical. Please, somebody study these things! Take a look some time at a book or study--which teaches pastors. If you look carefully, you will find that it is often, and openly taught --to pastors--that they are a "type" of Levitical priest within the structure of the church. Most Christians probably don't know this teaching--since most of us never even consider the idea of studying to be a pastor. The reason most of us never consider "real" ministry is that tradition places so much responsibility in one man's hands--and requires special gifts--like public speaking (a gift which very few people have!). The job of a "pastor" looks like (and is!) a very difficult job--needing 'special" skills. What tradition has done to the church is give us an incredibly narrow view of what "ministry" is--and the definitions (we believe to be Biblical) of what a "pastor" is, come from the concept of a type of "levitical priest". It kind of makes sense--to our experience. In the Bible, the Levitical priesthood was the "anointed--appointed--delegated authority"--who had the right to do ministry in the temple of God. Kind of sounds like what we call "the church"--it all seems to fit together. So many people who are very zealous to serve the Lord--listen to this doctrine--and believe it about themselves--and before you know it, some really nice people stand up in church every week and teach that "they have authority over " the rest of us! The main problem, is that the Levitical priesthood is clearly and specifically done away with in the new testament. Read the book of Hebrews--chapters 5 to 10--it's in there. Change in Law and priesthood: the priestly order of Aaron, now being abrogated, to make way for the original priesthood of Melchisedec. This made it necessary to change also the law and abolish all its sacrificial offerings which could not bring perfection, reconcile men to God, make them holy or take away sin. God designed to change the law and its priesthood, to introduce Jesus Christ as the only Priest and Sacrifice and substitute the Gospel system for the Levitical institutions." Did you know that old covenant ministry is something which the new covenant says is meant to be "done away" with? The new covenant says very specifically that there is a difference in old covenant ministry and new..
"Speak thou also unto the children of Israel, saying, Verily my sabbaths ye shall keep: for it is a sign between me and you throughout your generations; that ye may know that I am the LORD that doth sanctify you." (Exodus 31:13 KJV). The book of Exodus says the sabbath is a day of sanctification--a day when Israel got their sin "covered" (they did not have the permanent forgiveness of sin that Christ' blood gives us--the blood of animals only covers, for a time--sin--and it is absolutely necessary to do the offering continuously. This is why the new covenant church saw fit to meet anywhere--usually in their own homes. After the day of pentecost, they did not say "let's meet on Sundays--and call ourselves the church of the upper room" Rather they all went out to the streets--where Jesus had demonstrated His ministry--and got people saved! They did not have a building fund--since they truly understood that they ALL were the temple of the Holy Spirit! Now, most Christian leaders would say that they live this out. Many believe very genuinely that the people whom they minister to are temples of the Holy Spirit. And they very genuinely feel that it is their job to build up those temples each week as they preach to the people. Sounds great-- but: Why is it that all the temples don't get money to grow? Why is it that we build up one man's house--which to some degree "rules" over the others? The fact is that physical "temple building" takes up most of our time effort and money. If we ALL are temples of the Holy Spirit--we ought to live it out! Israel was told to bring 1/10th of the increase of certain herd animals and field crops as an offering for sin. Only the high priest of Jerusalem ever had the right to receive this 1/10th offering. The animals were offered in the temple in Jerusalem--in accordance with the law. The grain offerings were also made--a "shewbread" was made. Only the priests--the Levites--could eat the bread and the meat of the offering. Jesus, in the new covenant, offered His blood--but also called Himself meat and bread (John 6). Jesus offered Himself--His blood for the sin of all people--everywhere. In the Bible, new covenant believers had different way of doing things. They could partake of the Lords' supper. His blood is part of this supper--for our continual forgiveness--but so is the bread--so His flesh is--the "meat" of His sacrifice. One of the meanings of the Lords' supper is the open invitation for ALL to be priests. In the new covenant, ALL believers could partake of the meat and the bread of the sacrifice. In your church, are only certain, specific people "allowed" to partake of the Lords' supper? Or--are ALL invited to partake of both the wine and the bread? Yet again we see another new covenant confirmation that ministry is for ALL--and a re-affirmation of the priesthood of ALL believers. We are ALL priests--on an equal basis--our High Priest resides in heaven--at the right hand of God the Father--with ALL power and AUTHORITY--His name? 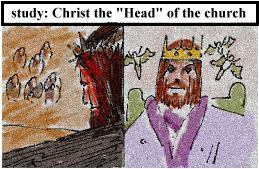 Jesus--the Christ---The Head of the church. So--who do we give to? Giving in the new covenant (like all things!) is meant to be Spirit-lead. Giving in the new covenant is specific and direct to the need. We are supposed to be giving to the poor within the church. 1Co 16:1* Now concerning the collection for the saints, as I have given order to the churches of Galatia, even so do ye. Ro 12:13* Distributing to the necessity of saints; given to hospitality. Ro 15:26 For it hath pleased them of Macedonia and Achaia to make a certain contribution for the poor saints which are at Jerusalem. Why should we do things this way? The purpose of this rule of Spirit-lead giving to the needs of the poor, was to support the ministry that is in EVERY member of the body--so that "none have lack"
These areas of scripture are much maligned and often "excused" away. 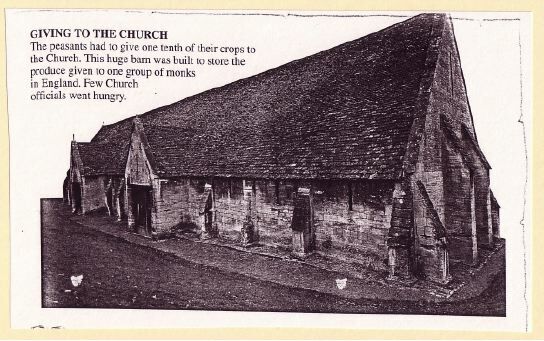 Some say that this describes a "commune"--a strange type of structure that only the early church was meant to operate by. Others say that this is a special miracle that God did, and not an example to follow. These are absolutely wrong ideas. 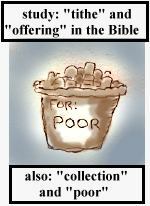 These scriptural examples line up exactly with what the rest of the new testament says about giving. The fact is that the church in the Bible had a different structure than our traditional church system. ALL the people were serving God fully. They truly operated as a body--they met mostly in their homes--they saw no need to build a temple to God (since they fully knew they were ALL temples of the Holy Spirit). EVERYONE had the right to receive funding for their ministry. EVERY temple was respected. The weakest members of the body were built up for their important service to the Lord. And it worked! The Lord was able to add to this church on a daily basis--since they were BEING the church daily! We have heard it taught this way. "Well--see it right there! This is new covenant obedience in giving! Take your money, and lay it down at the pastor's feet! It's the right thing to do!" Wow--is this ever taking the word out of context and making it fit our experience! Can we please read the rest of verse 35? The new covenant is clear and consistent. It asks Christians to give as the Spirit of God leads them--TO THE POOR--to the lack of our brothers and sisters--to those in need within the church--so that ALL may serve God. Give to another Christians need--as the Spirit of God leads you--not by law! You will be blessed!---try it--it works! This is the new testament Bible describing the church. The Bible says that the system of honoring the weaker members of the church has the purpose--"That there should be no schism in the body". The church in the Bible gave all it's support (yes monetarily!) to the weaker members--so that the Body would be able to function fully, and God could do all the He wanted to through ALL the people! 3. CHURCH OPERATION AND FUNCTION--The Bible Way! Simple: reform the church. (it's been done before!). The truth is that the changes we are talking about were made by Roman emperors--1700 years ago--became firm tradition the church--and never ever changed--or even looked at. The truth is that the church was changed and we ought to just take a simple honest look at the Bible, and realize this fact. How hard would it be to do things the way the Bible says? Maybe not as hard as we think!! step 1...focus all the people on Christ's mission--His purposes and ministry..
step 2....Make apostleship our highest call. 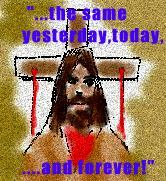 Jesus ministry was toward the world--to the unsaved and unhealed (the poor--the broken hearted--see Luke 4:18!!). The ministry of the church ought to be the same---BUT--through a body! !--through ALL the members. We need to find people who have the call to go out and witness the Gospel to our communities. Groups--that are called to bring the Good News of salvation through faith in Jesus--out to the world. Groups that are called to be sent to the sick. Groups that are called to be sent to those who need deliverance. Groups that are called to feed the poor. The ministry of the leadership of the church, is to organize and encourage these groups (no small task!--we need Christian leaders who have the purpose of release in their heart!) --and to supply the needs of their ministry. step 3...Organize---Talk to one another--on a common level. "Break bread" together--frequently. find out who can do what--who has what gift (remember--one gift does not rule another!). The Bible says that we all have ministry gifts inside of us--we need to believe this and act on it faithfully and humbly. Organize teachers within a church--a group of people who are ready and willing to teach the newly saved and quickly lead them to serve God also. RELEASE is the goal--not "submission to authority"! step 4...Organize--real pastoral ministry. Groups of pastors--people who want to lead others to release and Godly service--and help others with the love of God in a direct and personal manner. We need more of us, doing a small part--and many less pulpits! step 5.....Organize--prophetic ministry. Find out who has what gift. Know who has the gift of tongues and who can interpret--and organize all the prophetic gifts. If someone has faith they can do it--God can work through them! WE MUST have faith in one another--and be rid of all judgments between one another. The prophetic gifts cover a large area! For example, music is a prophetic gift--but--what if that music ministry in the church did at least some of it's playing out in the world--whenever possible? The Christian world is filled with many wonderful songs of praise and worship--and incredibly talented musicians. Unfortunately most of the time we "preach the Gospel to ourselves"--with our music. We ought to always bend the prophetic gift toward the apostolic outreach. Look carefully at the Bible. The utterance of the Holy Spirit always lead people to carry on the witnessing of the Gospel. This is what we need from the prophets of the church. step 6....Organize--People into groups that actively work together to spread the Gospel. Recognize what we already have and sow it actively out in the world! Money is not the first concern in this type of church operation! Remember--it all doesn't have to take place in one building--we should work everywhere--and our homes are great places for meeting. The groups ought to meet wherever and whenever they are able. The anointing within ALL the people is what we need--in full operation--as often as possible. Think about it--how hard would it be!! Instead of so much time, effort and money going into a once-a-week--2-hour--formatted tradition--we concentrated on having meetings as often as possible. Think about it--With only 50 or 100 people in a church--it would be easy to have 7-day-a-week church operation. Meetings would suit our schedules--mornings--evenings--it doesn't matter--as long as we are focused on Christ's mission--and carrying it out directly--as well as we are able to with our humble gifts, working together. God never meant any one person to be the focus of our Christianity. The Bible never tells us of the "clergyman" who is the focus and teacher and ruler of our Christian walk. 7-day-a-week church is very Biblical--much needed--and maybe, not as difficult as we think! Christian leadership is NOT holding others under authority and endlessly teaching them. If we could just get this big tradition behind us, maybe we could be free to find a "different" (but very Biblical!) type of Christian leader. Do you want to be a Christian leader? Well, wouldn't it be glorious, to spend your time, and use your organizational abilities to release others to their ministry, in a very direct and purposeful way? Wouldn't it be glorious to lead people to directly serve God? To organize people into groups that would carry the gospel out to your community. NEEDED: Real "bishops and elders"! An "elder" is NOT someone who wears especially old-fashioned clothes on Sunday mornings and gives you dirty looks if you cough at the wrong time. A "bishop" is not someone who wear robes and sits in a large chair on the altar. Real Christian leaders would follow the example of Jesus and organize and co-ordinate others into their ministry. Real Christian leaders would send people out to the community--to pray for the sick--to feed the poor--to bring the deliverance and the glorious salvation that Jesus gave us--OUT TO THE WORLD! Real Christian leaders would listen carefully and respect the prophetic word which can come through any member of the body, and ACT QUICKLY on the word of the Lord. Real Christian leaders would organize teachers--groups of people who work together to quickly instruct others--and real Christian leaders would organize true pastoral ministry in the body--people who cared for and lead others--so they too could serve God fully. Tradition puts all the "ministry" in the hands of one man, and we are, in reality, asking one person to do a job that all of us are meant to do. God never asked us to have one man be "the minister" of the church. Church leaders, by tradition, are doing a job that God never asked anyone to do--to "be all-- for all"--all the time. Remember that these ideas go back to the dark ages--the Roman empire's idea of "the church". But let's think again of that collective vision of revival that we all seem to have in our spirit--the vision we received from the word of God in the new testament. The church--available seven days a week (maybe 24 hours a day!) --means that whenever any of us has a need, we can have quick help from our brothers and sisters. But this will only happen when we are ready to respect the ministry that is in all of us. If we could have this kind of faith in one another--simply that God can work through any of us--toward any of us--He will be able to act quickly and our needs will be met fast. Now put the shoe on the other foot. Have you ever had the desire to serve God? To pray for someone--to go out and witness the Gospel or feed the hungry--or pray for the sick? All of us have--and most of us have been frustrated--perhaps not knowing where to start--or maybe feeling that we had no support for the call the Lord was putting on our heart. If the church operated by the rules of the new testament Bible, we would have these opportunities often. Do you believe that we would get more people saved if we were available more often? The system of the church in the Bible makes perfect sense! Example: Fitting it all together. POST THIS IN THE CHURCH......! A group is sent. But, there are others who must help those who are sent--people who will supply the Bibles--people who might have a gift of writing or drawing and can prepare a hand-out for those who are to be sent on this witnessing assignment. When the group returns, there were some people they prayed with and who accepted Christ. They are referred to teachers and pastors in the church--people who reach out to them, call on their home (or invite them to their home--or meet with them anywhere possible!). These pastors and teachers show them the basic understanding of salvation through grace--teach them how to read and study the Bible they've been given--and encourage them to come and serve God as a brother or sister. Simple---direct--effective--it's called apostleship--but it is really the love of God following the example of Christ. If the church today, looked and worked like the church in the Bible, we would not consider "ministry" to be "speech-making" or rulership. How hard would it be, for a new believer to be involved in a church like this? Is it so hard for someone to cook some meals and feed the poor? If the "ministry of the saints" existed in all it's fullness, how quickly we all might become addicted to it (1Corinthians 16:15)! And, what an attractive place the church would be, as a representation of God's love in the earth--which is exactly what "the church" is meant to be--a reflection--as a group--as a "body"--of the perfect love of Christ. The example of our Savior Jesus, is to carry His love out to those in need. So many of us want to share His love with the world. We simply need the church to be the place of opportunity for this to happen. Why not? Maybe it's not as hard as we think! When we read the Bible, and understand it says that the gift of ministry is "given unto every one of us" "even the rebellious" (psalm 68:18)--and compare it with our tradition and rules--we ought to come to the conclusion that our ideas and definitions of ministry and authority really ought to be reformed according to Biblical rules and examples. The bible example of church operation is really very simple.. It is: groups of believers--working together as brothers and sisters in the Lord--carrying the Gospel of Jesus Christ out to the world--using every gift and ability that they have--using every gift that God has given--with none "ruling" but Christ as the Head. All serve--no one "rules" but God--what a concept! What an example we have to follow! Why not just do it! Does this sound like your "vision of revival"? Does this sound like your "vision of church"? You may not have realized it, but the Lord put that vision, in your heart, from reading the Bible. Read your Bible---study ministry--authority--and the operational pan of the church---from the Bible. Study history--see where these thing were re-defined and changed. Live out your life in service to God! Laying down your life for others is the greatest place to be! "But Jesus called them to him, and saith unto them, Ye know that they which are accounted to rule over the Gentiles exercise lordship over them; and their great ones exercise authority upon them. But so shall it not be among you: but whosoever will be great among you, shall be your minister: And whosoever of you will be the chiefest, shall be servant of all. For even the Son of man came not to be ministered unto, but to minister, and to give his life a ransom for many". (Mark 10:42-45, KJV). Must we always build the church by the rules and expectations of traditions which are clearly disobedient to the Will and Word of God and His highest calling for us as believers? Yet the Bible does make a small mention of a "pastoral anointing"--a pastoral ministry gift. What is this referring to in the new testament? 2. The Greek word translated as "pastors" ( elsewhere translated as "shepherd") is only mentioned about a dozen times. Some of those "shepherds" refer to actual, shepherds of sheep--such as the shepherds that were present at Jesus' birth. Most of the scriptural references about "shepherd/pastor" are found in John chapters 9-10. Thorough study of these chapters reveals that the pastoral anointing is meant to be the leadership of others to release---and certainly NOT holding of others "under authority". Pastoral ministry, Biblically, is the leading of others--TOWARD RELEASE! The job of a pastor is to release others to their gifts and specifically NOT to hold others under authority. 3. All the references to "shepherd/pastor" refer to Jesus. He is said to be the "only true Shepherd"
4. A major conclusion that ought to be understood is that, Biblically, human leadership within the church is meant to be at a minimum. In 1corinthians 12, when the gifts of ministry are named out in order of importance, apostles are named as the first (primary) gift. Prophets are named out second--teachers are named third. The focus of the church is meant to be toward apostleship--toward carrying the Gospel out to the world. Note that "pastors" and "evangelists" are not mentioned in this list. This makes perfect sense Biblically--when we see how rarely these gifts are mentioned in the Bible text. 5. Jesus Christ is meant to be the Pastor of the church. Now, we all say this is so, but by a distant, "sovereign God" concept. In the Bible, Christ was the active leader of the church, through a system of ministry in ALL. He lead the church through frequent prophetic words which carried on His mission in the earth, and lead to quick apostolic action and release. 6. Human leadership was at a minimum within the church of the Bible, because of the fact that the prophetic gifts were in full operation. Christ truly was the Head of the church--since God was given the opportunity to speak through whomever He chose (as the rules of church operation clearly state! !--1Cor 14:26--etc.). The apostolic operation of the church made all the people ready to immediately carry out Christ's commands. The people in the Bible did not seek human leadership, since they knew that their leader/pastor (JESUS!) was truly alive and could speak to them anywhere, anytime--through the utterance of the Holy Spirit, and the prophetic gifts which the new covenant says are in ALL of His "sons and daughters". Finally the REAL Job Of A Pastor--!! THE MINISTRY OF LEADING OTHERS TO BE RELEASED TO THEIR MINISTRY! Now, in order to understand this--you will have to read the Bible--(at least a few chapters in context). In the book of John, chapter 10, Jesus explains what is a "good shepherd" (Greek "poimen"--the word translated as "pastors" in ephesians 4:12). In these verses, Jesus is referring to his actions in John chapter 9. 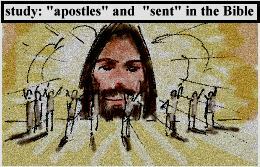 In John chapter 9, Jesus sees a blind man--"anoints" his eyes with mud, and tells him to wash in the pool of Siloam (which is by interpretation "sent"--yes once again the Greek word--"apostello"). The formerly blind man, immediately goes about witnessing Jesus to everyone (including the pharisees). He is suddenly "released" (remember that apostolic release is part of the Gospel--according to Luke 4:18)-- he is "set at liberty" to be a witness for the Gospel. "....and recovering of sight to the blind, to set at liberty them that are bruised, To preach the acceptable year of the Lord." (Luke 4:18-19, KJV). The blind man --recovers his sight, --is set at liberty (washes in the pool of "apostleship") --and goes out and preaches the Gospel. Jesus did exactly what He said he would--and the release to ministry is one of His greatest miracles. "I am the door: by me if any man enter in, he shall be saved, and shall go in and out, and find pasture." (John 10:9, KJV). This is Jesus' description of His new covenant pastoral anointing--which is to lead others to their ministry--to release others to serve God. And quickly! Certainly this is a very important gift and ministry. Certainly something we need much more of within the church. We need the true pastoral anointing restored to the church! Any of us ought to be able to walk into this anointing and gift--to quickly and simply--lead others to their Godly ministry. Be released in the name of Jesus Christ!